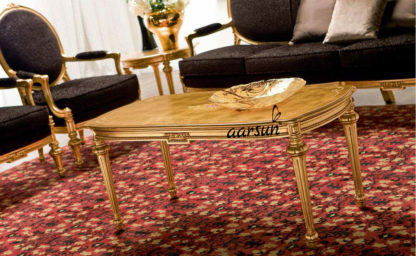 Living Room Furniture is a vital part of homes. 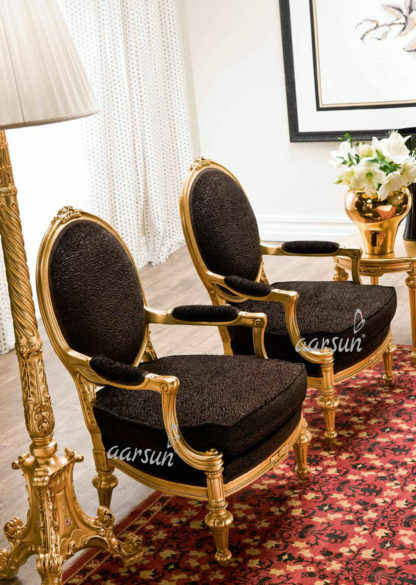 Aarsun Woods brings you this stylish handcrafted 7 Seater Sofa Set with Matte Grey Upholstery, Teak Wood Frame and Gold Polish. The sofa set compliments royalty. 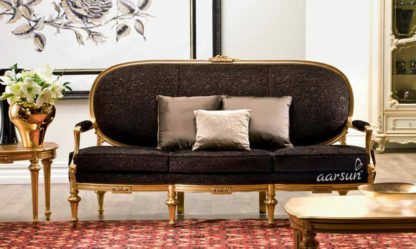 The design and finish brings back vintage times and grey theme which is in trend today. The linear carving centered onto the framework look stylish yet elegant.